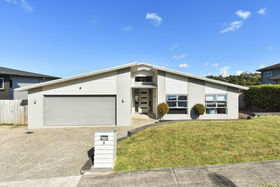 This elevated, north facing, three level, five bedroom family home will delight you with its panoramic views of Totara Park not to mention its privacy. 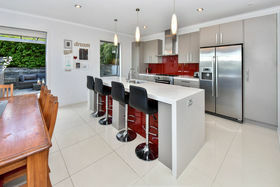 Boasting a superb set of features to enhance your lifestyle, including the well-designed kitchen with tiled flooring & plenty of room at the island breakfast bar. 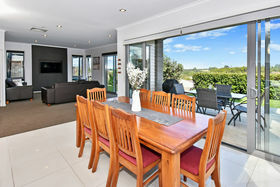 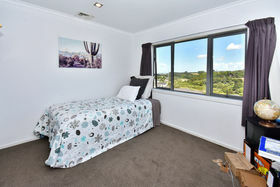 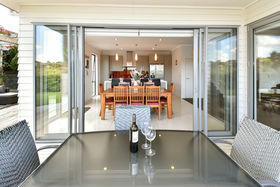 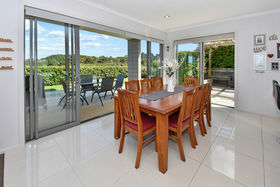 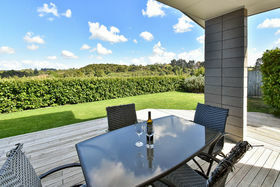 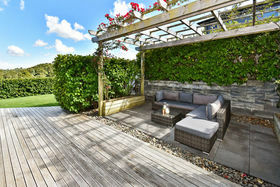 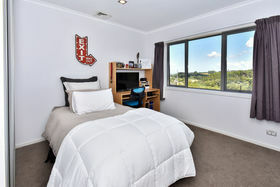 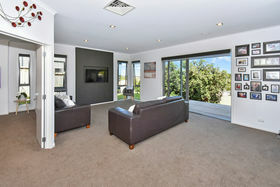 The sun-drenched lounge, dining and kitchen with high stud, and large doors to provide as much light as possible while allowing easy access to the outdoor entertaining area, the perfect location for kids, pets or simply relaxing with a book while catching the sunset over the Manukau harbour. 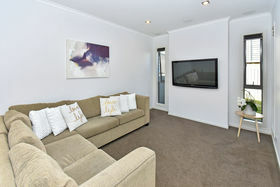 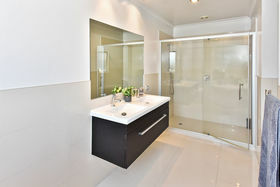 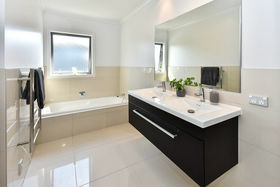 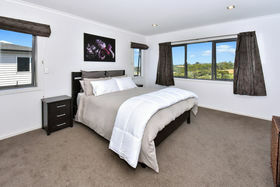 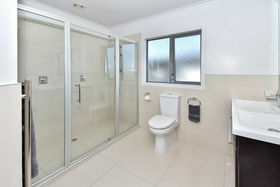 All five bedrooms are generous and split over two of the three levels, one level boasting two double bedrooms and a bathroom while upstairs you find the generous master with walk in robe and ensuite, an additional two double bedrooms serviced by the large family bathroom on this level. 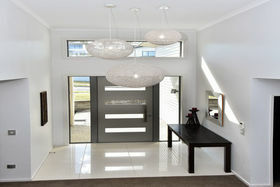 Its clear to see why this house won silver in the Master Builders home of the year. 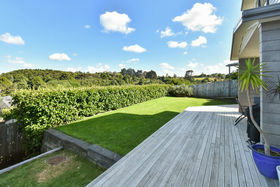 Close proximity to Totara Park and Botanical Gardens & all the amenities that the Gardens can offer! 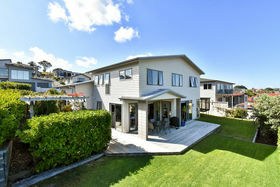 The list of extras with this home is long so call me to find out more about this fabulous home.